The constant recurring theme in my work with targeted-alienated parents is what I call the “Humpty Dumpty” factor. How do alienated parents confront the reality that once alienated, their children may never be the same again. Bringing Humpty Dumpty Back Together Again. Targeted-alienated parents may work hard over many years to bring the broken pieces of their children together again in the hope of a relationship between them, sometimes when they are adults. Targeted-alienated parents must nurture the wounded place they hold for their children. Reconnecting with an alienated child is a strategic process that adapts standard ‘good’ parenting in the form of ‘strategic empathy’ to the dynamics of attachment injuries and trauma caused by alienation. And yet, many targeted-alienated parents with whom I have worked report that their children are different from the way they remember them. Something, some essence of them is missing. 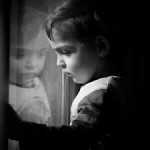 Often, there is a degree of wariness by both targeted-alienated parent and the alienated child, especially if the alienated child has made false allegations against the targeted-alienated parent or if the alienated child has taken some adverse action against the parent whom they have rejected. Humpty Dumpty can be put back together, but Humpty Dumpty is just a lot of broken shards held together, just a distorted and broken image of what it once was. That is how the alienated child looks. When What is Broken is Broken. Sometimes no matter what the targeted-alienated parent does there is no possibility of any kind of relationship. Nothing more they do or do not makes any difference. “Letting go” for them is organised around notions of their own integrity and ‘handing back’ choice and responsibility to their children. 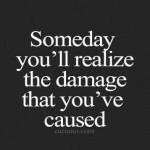 These parents recognise that a relationship between them and their children is no longer down to them and that continuing to try may expose them to unintended repercussions from hostile alienating parents and their adult alienated children. Continuing to reach out may even reinforce the process of rejection by alienation. Targeted-alienated parents acknowledge that their errant adult children can only return of their own volition. When the Reconstructed Humpty Dumpty Becomes a Monster. And then there are those parents who have worked very hard over the years to form some type of relationship between them and their alienated children. A common context for this situation is the shared care parenting arrangements commonly agreed with alienating parents. Parents with whom I have worked struggle to maintain shared care against the subtle deprecations of an alienating parent. Some favoured-alienating parents simply will not stop and eventually influence their children in their teenage years to degrade both the quality and the quality of contact and relationship progressively and incrementally with a parent from whom they were alienated. However, no matter how hard alienated parents try, their relationship with their children never moves beyond a certain limit. Their parent-child relationship continues to return to the same fundamental emotional constraints circumscribed by the alienation narrative of unwarranted, irrational rejection. Sometimes these relationships are harmful to both parties and in fact, normalise a cycle of dysfunctional and damaged relationships driven by the alienation process. An alienated parent may co-opt themselves into supporting this cycle out of desperation for a relationship, any relationship. It is a type of existential death for alienated parents to realise that their adult alienated children, especially in their 30’s, may well be the person they will remain for the rest of their lives, immune from any beneficent influence from them. 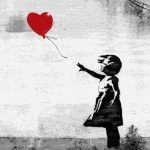 “Letting go” is especially poignant for these parents because a limited type of relationship may still be available however much it is a shadow of what might have been possible. Yet, continuing in such a relationship simply confronts targeted- alienated parents with the reality that the only possibility of change now rests with shifting responsibility and choice back to their children, making their children reflect upon their emotional choices to reject them. And so now we understand the nursery rhyme of Humpty Dumpty. Once broken relationships can never be returned to the pre-broken state. Something new cannot be born until something old dies. And sometimes what is broken is broken, the pieces do not reform into anything we recognise nor into something that has a potential for the future. Every child goes solo as an adult, there is no other way and as parents, our role is to teach them to fly-the rest is up to them. And if they choose to sit upon a high wall, then all the ‘Kings horses and all the Kings men’ may not save them from their choice-and nor should we. This is a sobering piece which explains the conundrum, of what targeted parents want, and what alienated children have capacity for. All the more reason to fix Humpty Dumpty sooner than later. Thank you for your insight. This gap is the contested territory of alienation. 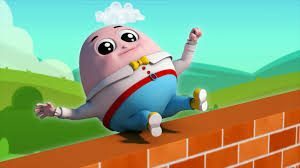 And yes, it would be best if the wall for Humpty Dumpty to sit on was never created in the first place!